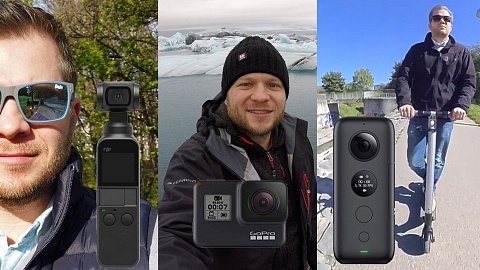 GoPro of course drew the most attention to them with their release of GoPro HERO5 black along with HERO5 session. The new HERO 5 black features a 2″ touch screen, that’s new to the black edition, only HERO4 silver had one before. Most noticeable feature of GoPro’s new camera, it’s waterproof 10m without case! Other great additions are voice control and GPS recording. Regarding resolution & frame rate the max. is still 4K 30fps. The whole product line was displayed at Photokina Cologne. 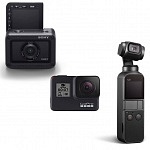 To me the even more important release was GoPro Karma. Not just a drone, way more than that, and this was a huge surprise to me. You can remove the gimbal from the drone, add grip use it as handheld stabilizer. All of this is included with the drone. So you get a sweet production kit, conveniently stored in the also included backpack! 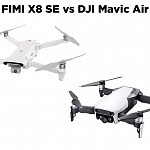 At IFA in Berlin I first visited YI Technology’s booth as they announced their new YI Handheld Gimbal and their drone Erida. Unfortunately only the gimbal was on display as Erida made its debut at Interdrone in Las Vegas. YI Handheld Gimbal is a great addition to YI 4K Action Camera, as electronic image stabilization is limited to max. 2.5K resolution. I met Sean, CEO of YI Technology, after some talks he also pulled out the newest YI product. It was not on display at IFA, as it made its debut later at Photokina: YI M1 Mirrorless Camera. M1 is a mirrorless camera with a 20 MP Sony sensor and micro four their system. Two lenses from YI are available (12-42mm F3.5-5.6 zoom lens & a 42.5mm F1.8 prime lens) but M1 is also compatible with all MFT lenses! YI M1 has a large 3″ touch display on its back and you can connect it with your smartphone to download your pictures and videos for sharing. I met with Kurt, managing director of EKEN, to get some infos on their first native 4K Action Camera, the EKEN H8 Pro. With a price of 130 USD probably the cheapest native 4K Action Camera available! It uses a 12 MP Sony IMX117 sensor and an Ambarella A12 processor. 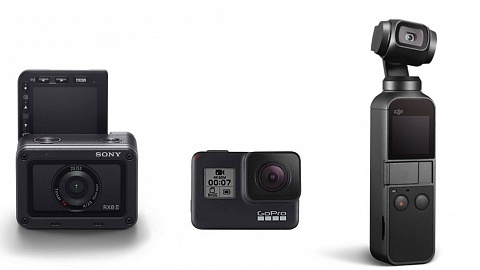 On my flight to Berlin I already received the news that Sony released their new flagship Action Camera FDR-X3000. It was on display, fully working to check out the various features, such as optical image stabilization. Electronic image stabilization is often not available in 4K as additional sensor space is required to stabilize the image. On the Sony FDR-X300o the whole light path is stabilized, and therefore also available in 4K. Additionally they showed the new included live view remote control. Already announced beginning of 2016 Nikon finally released their KeyMission 360 action camera. It shoots 4K with 24fps and is waterproof & shockproof without additional housing. 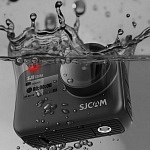 KeyMission is a whole line-up of action cameras including the KeyMission 170 to compete with GoPro, and KeyMission 80. I didn’t cover Garmin’s Virb on my blog so far, but definitely going to take a closer look. Of course GPS recording is on board as Garmin is well known for their navigation systems. It shoots native 4K video, has voice control and its touch display is fully functional within the underwater case! 360° videos are definitely a huge trend, Samsung already introduced their Gear 360 camera a while ago. I will soon get one for extensive testing to write about the video workflow. It offers 4K video resolution and is splash proof without housing. Lg released their Action Cam LTE a while ago which is focussed on live-streaming. It can record 4K videos, but streaming is only available in HD resolution. 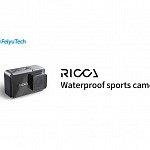 They also got a 360° camera in their portfolio which has a similar form factor compared to Ricoh’s Theta S.
As you may already noticed, 360° will be big soon. Insta360 4K is an interesting camera which streams 4K 360° videos, although a bit large to be classified as action camera. Another interesting prototype I saw was at Sunco’s booth. 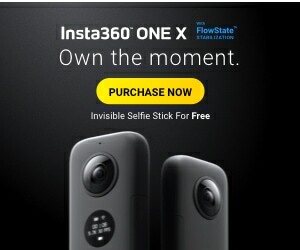 It will be a 4K 360° camera, hence the displayed camera was just a non working demo. 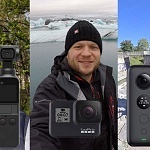 SJCAM was not present at IFA or Photokina, but their new cameras were launched during that time and need to be mentioned as well. 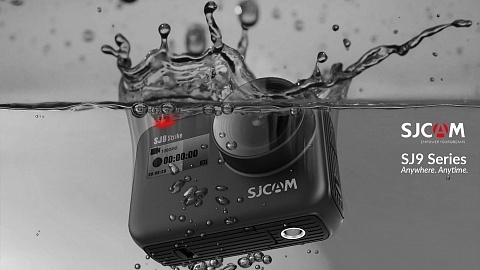 SJ7 Star is a native 4K Action camera which comes with a 2″ touch screen and aluminium body. I also got an interesting price tag under 200 USD. It’s “smaller brother” SJ6 Legend is also equipped with a 2″ touch screen, tough in contrast does 4K video resolution only interpolated and is a cheaper alternative for under 150 USD, if 4K resolution is not needed. 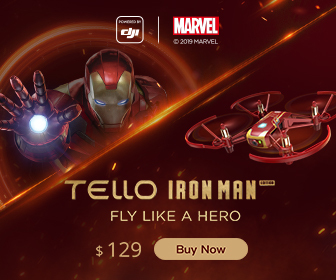 Both come with gyro image stabilization. Most of the mentioned cameras will be available very soon, just in time for Christmas shopping. So stay tuned for a lot of reviews to come!